A PTI Minister Just Labeled Hot Water Geysers A "Luxury" And Pakistanis Don't Know If They Should Laugh Or Cry! Naya Pakistan has been full of surprises so far and every day there has been something absolutely interesting coming up. Some things have been so unexpected that none of us believed this could happen in Naya Pakistan, or more like this, not the Naya Pakistan, we ordered. 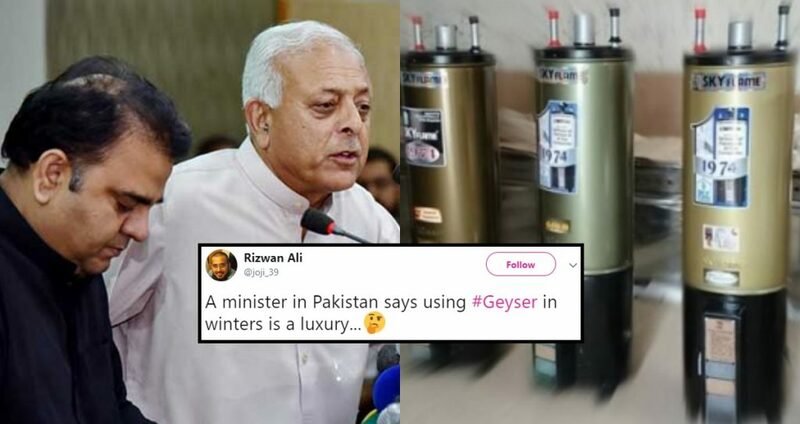 In the latest news, PTI Minister for Petroleum just called a simple hot water geyser a “luxury” item. Yes, you heard it absolutely right, if you have a geyser at your home, you are filthy rich because it definitely is NOT a basic necessity. And geysers are a symbol of social status and only the rich can have it who have gold toilet seats of course. Is Geyser really a luxury? Ghulam Sarwar, the minister of petroleum claimed that geyser is a luxury item when he was questioned by Shahzad Iqbal a Geo News anchorperson regarding the increase in gas prices. Ghulam Sarwar conveniently blamed the increase in gas prices on the increase in consumption and claimed that people have been using water geysers which are absolutely unnecessary and categorized them as a luxury item. He also suggested that we go back to stone age and use stoves to get hot water. People really are not happy with Ghulam Sarwar’s statement. There were pretty strong reactions over this statement on the internet and people needed some explanations. Some used pretty strong words to express their emotions. This man directly asked PM Imran Khan about the people he has in his cabinet. Some people used sarcasm and rightly so. Are we going to hear next that breathing is a luxury as well? Or will we be asked to stop taking a bath to save water and gas? 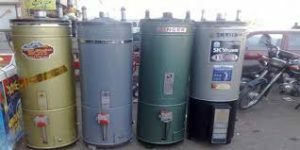 With temperatures dropping below freezing points in many parts of the country, we can’t even have a hot water bath as it now is a luxury. Congratulations you rich freaks who have water geysers in your home. Pearls of wisdom from the federal minister Ghulam Sarwar Khan, a gas geyser and warm baths are now a luxury. Ok Ghulam Sarwar sahab we will use stoves to get hot water but the point is WHERE DO WE GET THE GAS FOR STOVES THEN? The minister’s statement can be seen as absolutely absurd but it is our job to save water and gas anyways, for ourselves and our future generations.